I have marked some roads in red for orientation. First I thought it to be near St.Julien, but I think I am way off . It definitely is around Ypres and dates 1915. Could you also post the picture without the red markers? Sure, here it is. Apropos: the center part shows a destroyed farm. Did you check my other 2 different Ypres images as well? 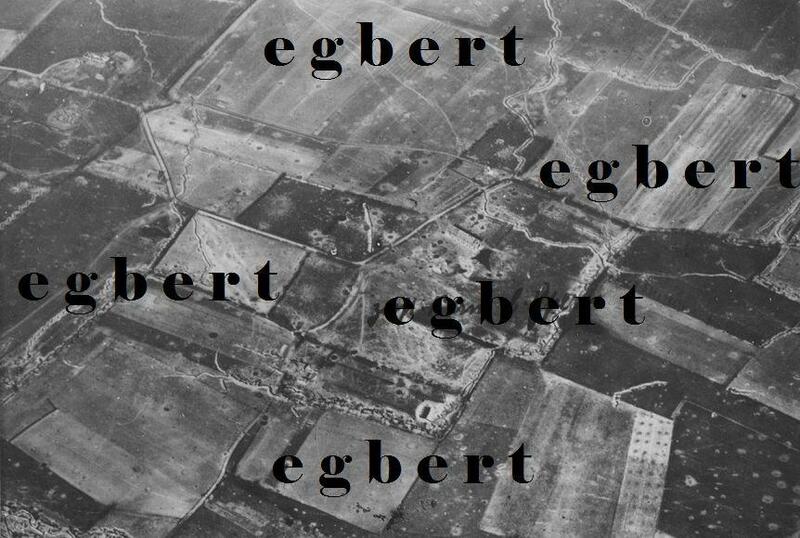 Sorry, Egbert, I can't help. Not for the other aerials on the GWF either. But I see nothing that tells me : Boezinge ! 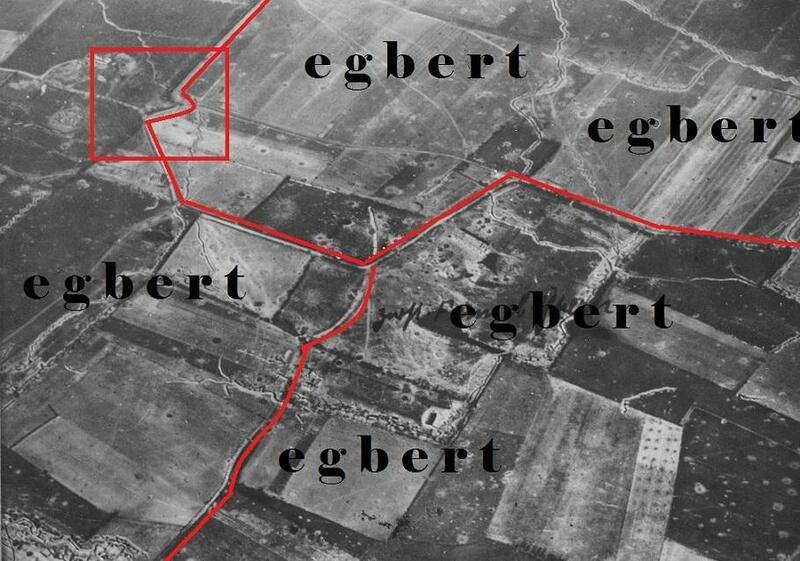 Wow... lots of places called 'Egbert' around that area!